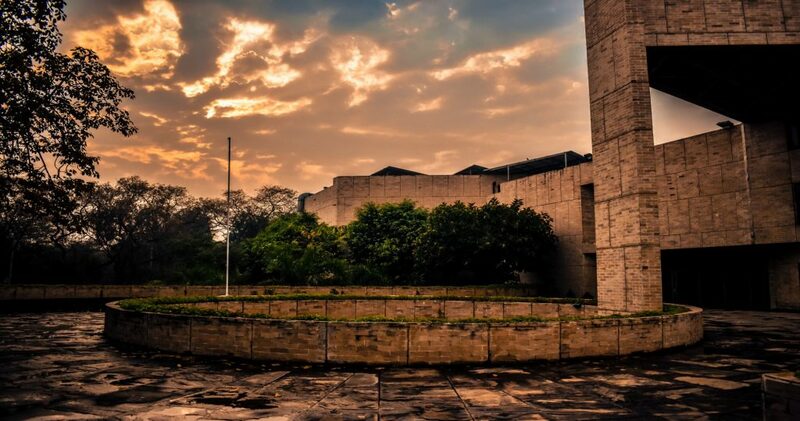 When we were asked to write this article about our experiences at IIFT, it put me through a thought journey. I thought what it could be that has never been before written about this great institute, the one which has produced countless business leaders and that it gives us a sense of privilege that we are walking along the same paths, literally and figuratively, which they once did. But again, that is something which you will find in every other description. In the first week, we were asked to go through an induction programme, specially conducted to make us feel accustomed to the so called “MBA routine”. The process was difficult as 170-odd prospective MBA graduates, who came to Delhi with bright dreams about a successful future, were subject to a treatment, which caused a great amount of unrest among the students. But, then again, this must be something that would be a case with almost all the previous batches. I was contemplating about the special feeling, which made my experience so special. The answer was looming around but it was me who didn’t realize it. I met my roomies and loomies (the ones we share our loo with) during the first two days at the hostel and we clicked. Be it the proud faced joker, Ishaan or the Bengali with a beard (not anymore), Arjyak or the skinny and humorous Harshit, everyone was so like-minded that they were the best companions to meet to start this journey. But what actually got us closer were the meal timings of the induction programme. Being like-minded, none of us felt like going to the over-crowded canteen. Thus, every one of us, equally frustrated at the break, shared our grief over smokes and snickers, which had apparently become an integral part of our lives. And before we could even realize, we were a pack to share our concerns, share a laugh, share our food if need be. This is the special feeling about IIFT that stick along for a pretty long period of time as to how a break of twenty minutes can bring about such big changes in our life. I reckon we should all try and take a break from the monotony of life for a few minutes and try finding that special feeling in your lives. You never know, it might just be waiting to be spotted. I would like to work for the Aditya Birla Group Company, Idea Cellular because it firmly believes in the mentality of growth. And we have the numbers to back this up as well as with 200 million subscribers; it ranks sixth in global rankings of operators in subscriber terms, for single country operations. Along with the expansion, it also believes in inclusive growth as it intends to extend its services to over 1.2 lakh towns and villages across the country. In concern to the working as well, I believe that Idea Cellular is a great place to work with huge focus being given on working in cross-functional teams thus, promoting the culture of collaboration and cohesion among employees. This is something which keeps up with my style of working as well as in my previous employment; I had an opportunity to work in various Cross-Functional teams which only enabled in producing maximum efficiency. Also, I have been a part of various sports teams during my under graduation and thus, team-playing is a quality that I have developed over the time-period keeping up with the culture of Idea Cellular as well. Also, with limited outsourcing, employees have a feeling of belongingness and ownership towards the work they do and only complement to their commitment towards the company.